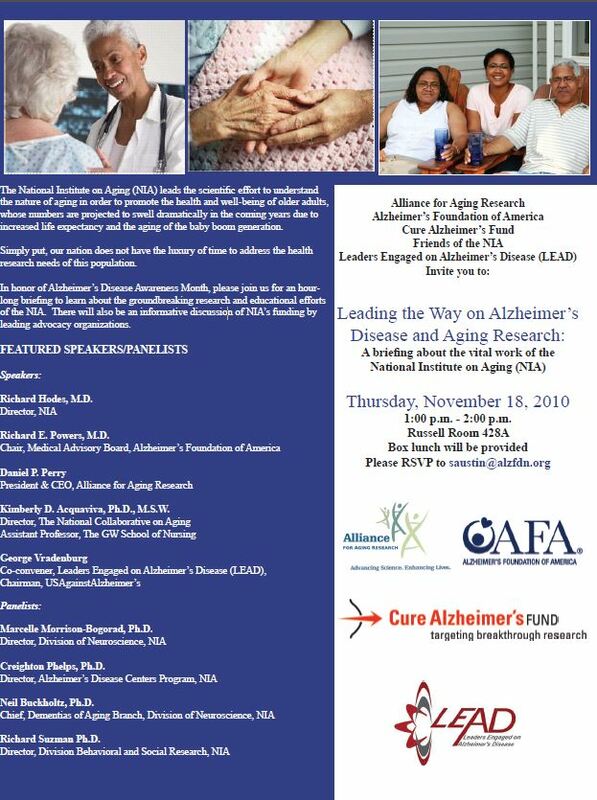 Leading the Way on Alzheimer’s Disease and Aging Research: A briefing about the vital work of the National Institute on Aging. Please feel free to disseminate this flyer through your listservs, websites, etc. Any assistance you could provide in helping to spread the word about this exciting event would be greatly appreciated. To RSVP for the House briefing, please send an email to [email protected] confirming your plans to attend.